Yonkers Police are conducting an internal review after an officer was caught on video doing donuts in one of the department's vehicles. Yonkers Police are responding after a video surfaced on Twitter showing one of their officers doing donuts in a police car. 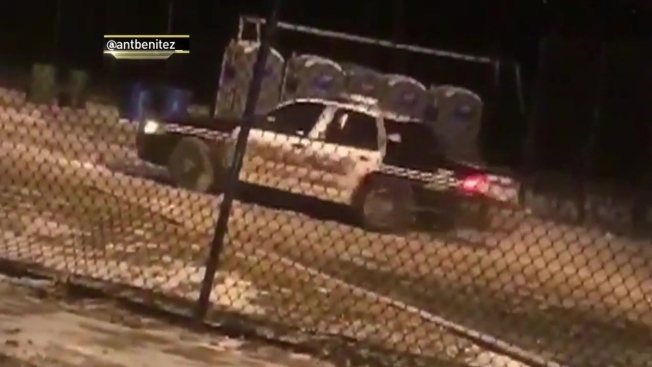 The video shows the police car spinning in circles in an empty, snowy parking lot at night. The man who shot the video says he was stopped at a red light next to Pelton Park when he spotted the police car. In a statement, Yonkers Police Commissioner Charles Gardner said the department was aware of the video and has identified the officer behind the wheel.